lithography at Musashino Art University in Tokyo, and then went to France to study at the Grenoble School of Art in 1990. Since then, she has created many installations centring on the vague limits of abstract meanings and spatial boundaries. She has lived in Paris since 1993. 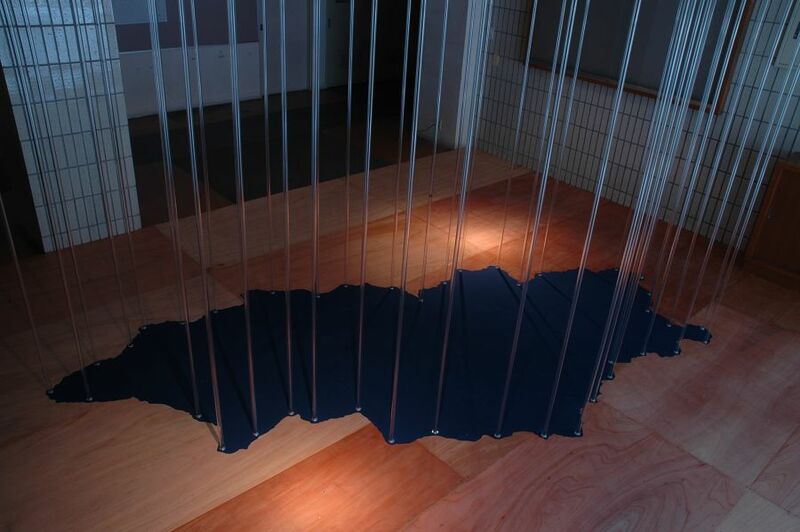 Ai sought to explore the relationship between us and the territory as well as its boundaries, while incorporating her experience in Kamiyama into her work. She also aimed to create something that bounced like a ping-pong ball between functional art and non-functional design, giving viewers the opportunity to think about the meaning of her work. It was two maps that Ai Kitahara, lover of stories, wove in Kamiyama: Stronghold-kaminakaya and Moving Territory. 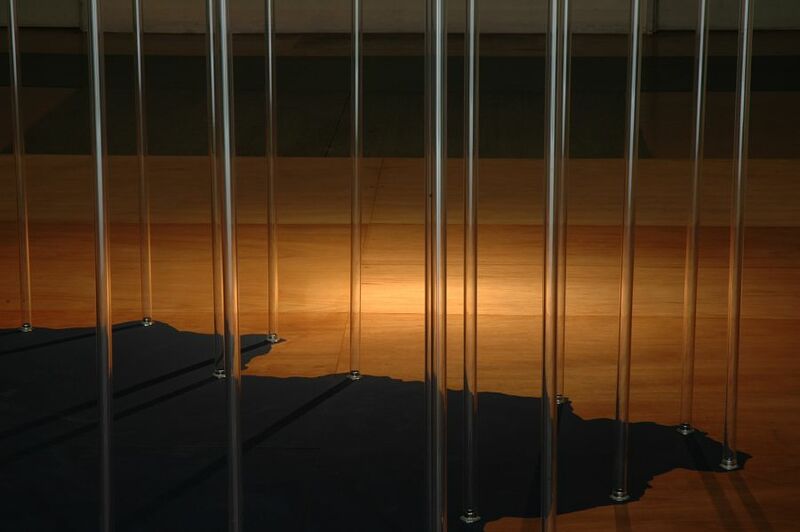 Stronghold-kaminakaya is a passage at the entrance, consisting of vertically placed transparent acrylic tubes. So delicate they look as if they would fall with a strong breath of air, yet they serve as a fence, invisible from the outside. Moving Territory is a movable blue board lying alone in the spacious gym. It makes one feel it may take off at any time, like a magic carpet, carrying people through the air. 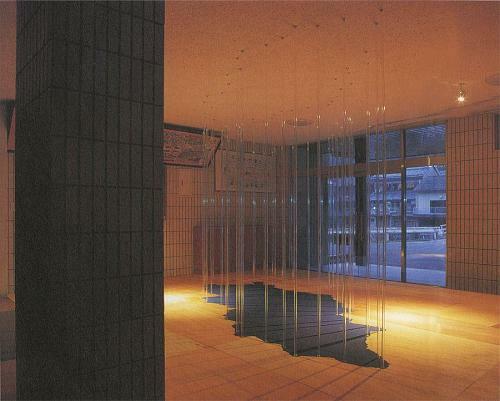 Those two maps of Kamiyama are masterpieces which poetically capture a magic power to lock yourself up and a fancy of flight.